For the second time at Flame Off we are offering "Taster" classes. Not everybody has the time or the money to attend the Thursday full day classes and many that do book on a class have to make a choice between 2 or 3 of their favourite artists , well now you can book a 3 hour "taster" class with all the artists plus more. Each class will be 3 hours , either 9.30 - 12.30pm or 1.30-4.30pm on both Friday and Saturday allowing you to take part in a shorter class and still enjoy Flame Off as well. In this class we will cover right from the basics of holding a mandrel correctly and comfortably, gravity shaping and heat control. We'll discover the difference between opaque and transparent glass, playing with colours and frit, pulling stringers in different thickness and using glass as a tool. 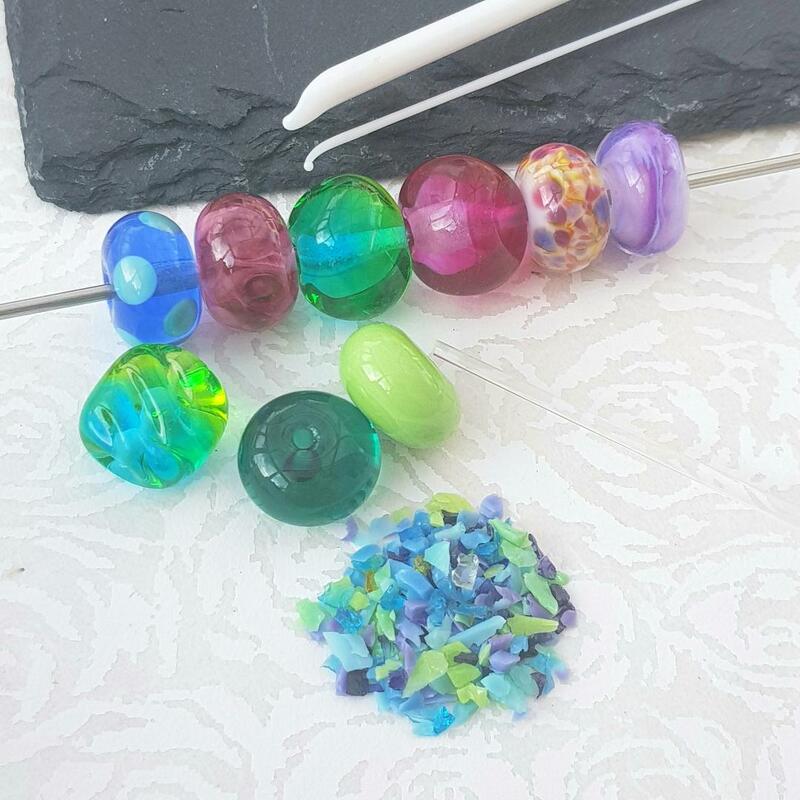 And by the end of the lesson you'll be armed with the knowledge on how to shape beads with only basic tools commonly found in most starter kits!